in the era of digitization through revolution and not through an evolution. She said this while chairing the 39th meeting of the Board of Directors of Pakistan Software Export Board (PSEB) here Wednesday. A lot more work, she said, needs to be done to keep up pace with technology including amendments in Rules of business, framework and laws to take full benefits of what technology for development and growth. 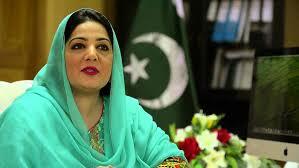 Anusha Rehman said that ‘The Digital Pakistan’ policy gives a framework and would be presented to the cabinet tomorrow for its approval. Due to strenuous efforts of the incumbent government and particularly Ministry of IT and PSEB Board, Pakistan’s IT & ITeS Sector has developed exponentially through the incentives and facilitation granted to the IT & ITeS sector and announced by the Prime Minister last week including cash reward on IT/ ITeS exports, extension of tax holiday on IT/ ITeS exports till 2025, sales tax on IT/ ITeS reduced to 5% in Islamabad Capital Territory, will work with State Bank to ensure long term financing for IT/ ITeS at 5% interest rate and bringing new legislation for Tech SEZ / new IT parks. Already existing benefits announced in previous couple of years include100% repatriation of capital and dividends, 3-year tax exemption for IT startups, and tax holiday for venture capital funds till June 2024 among others. She said that it’s our biggest pride that the growth rate of IT & ITeS exports has jumped to 125% over the last five years. The Minister further said that we always assigned utmost priority to IT sector and adopted all possible measures to enhance growth of the IT Industry of the country. As a result, IT industry is not only growing in terms of the number of companies, revenue, but also in exports and workforce on yearly basis, she added. She said that these are major achievements however there is much more work to be done to reach the present government’s target of $10 Billion in IT and ITes exports by 2020. She directed Pakistan Software Export Board authorities to enhance participation in key international trade fairs to increase contribution of IT sector to Pakistan’s economy through foreign exchange earnings and job creation and take all possible measures to brand Pakistan as an ideal IT destination for IT outsourcing and extend maximum possible facilitation to the IT Industry of Pakistan with particular focus on start-ups. She appreciated the working of PSEB during last 5years to achieve all the targets, assigned to them by the board. The Board lauded the kind patronage, constant support and vision of the Minister to take this sector forward and also gave their commitment to continue to work to get Pakistan recognized as an IT hub. Federal Minister for IT and Telecom, Anusha Rahman Ahmad Khan on Wednesday said that broadband sector growth in Pakistan is extraordinary and the sector has become a model for other countries across the world. She appreciated the role of PTA in the uplift of telecom sector, and emphasized the need for effective strategies, and a comprehensive framework for implementation and adaptation of 5G in Pakistan. She also mentioned that several initiatives for the development of information and communication technologies (ICTs) such as ICT4 Girls programme targeting thousands of school girls in Pakistan and Digi Skills programme, an important platform for creating online employment opportunities were undertaken.